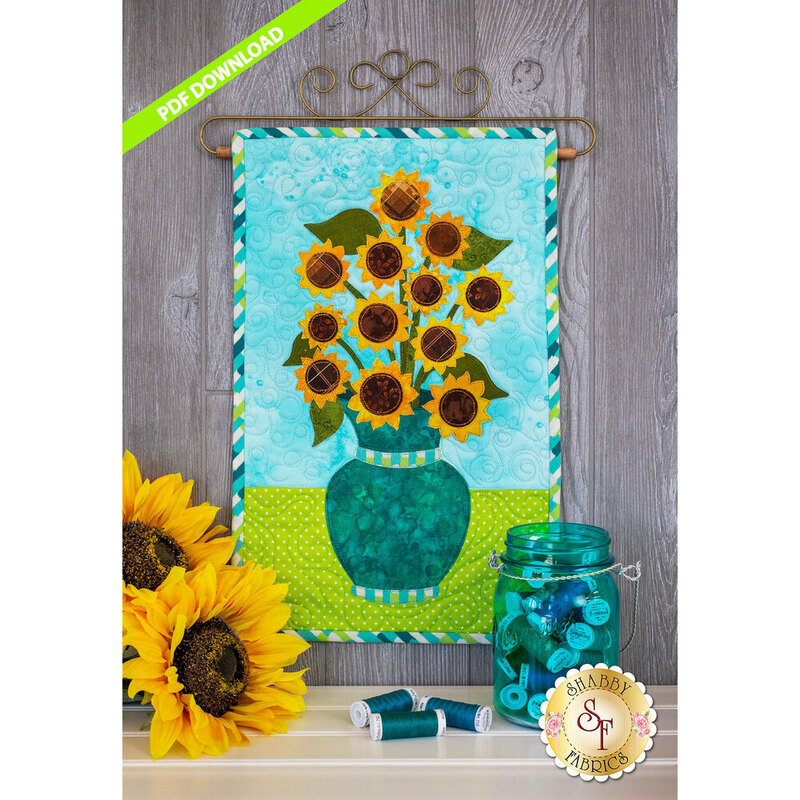 Enjoy the late-summer applique sunflowers blooming in this colorful wall hanging. We’ve captured the vibrant colors of fading summer days - still filled with excitement and fun. Though summer is coming to a close, the beauty of nature is still in full-force. Gorgeous sunflowers will hang on your wall so you can enjoy them for the entire month.